On Friday night, I looked at the weather forecast for Saturday and was delighted by what I saw: rain. My little kitchen faces west and has great big windows (painted shut), which let in lots of light – and heat. There is no playing around in the kitchen in July and August; it's more a matter of getting in and out before you get heat stroke. So back to Saturday. Scott had to work and I didn't mind at all, because it meant I could play and create as many dishes as I wanted without him interrupting and asking why I always like to make so many dishes. The day dawned cloudy and I felt luxurious. I knew I could make all kinds of things in my cool kitchen. I fished a piece of paper out of the recycling and wrote down my plan. Here's what I made, in order: meringues for Eton mess, gluten-free pizza dough, coffee ice cream with cacao nibs, pesto, and, finally, whipped cream for Eton mess. 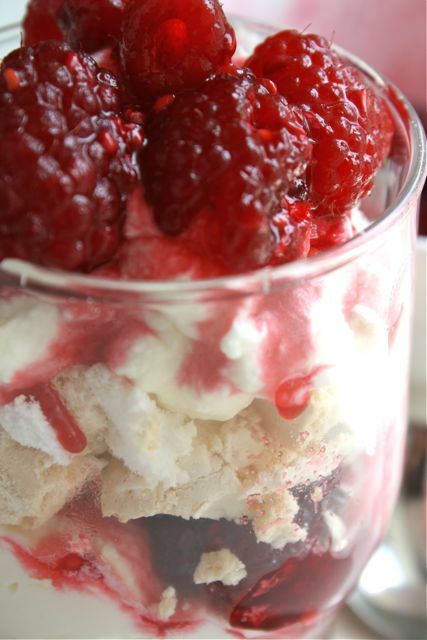 Oh yes, and I tarted up some loganberries and raspberries with kirsch and sugar for the Eton mess. I did three loads of dishes at my own pace and listened to a lot of good radio. Then I looked out the window. It still wasn't raining. The clouds seemed to be parting and I caught a glimpse of – gasp! – sunshine. 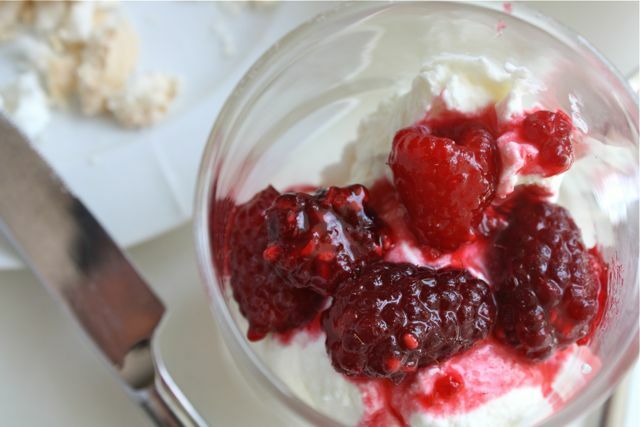 However, as an eternal optimist, I knew this would at least be good light for photographing the Eton mess, so I got down to work. My good friend Andrea introduced me to Eton mess a couple of years ago on a hot summer day when we visited them in Kelowna. It is one of those perfect summertime desserts – cool, creamy and mostly made ahead of time. 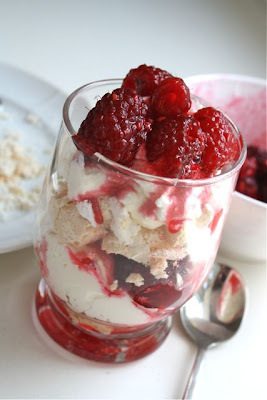 Think layers of crispy meringue, whipped cream and berries. 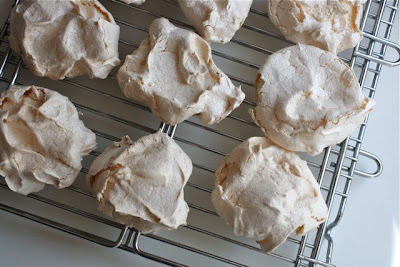 You only have to turn your oven on to bake the meringues, but you could do that in the morning or the late evening when your kitchen couldn't already be mistaken for a sauna. Then the whipped cream and boozy berries are a snap. Also, it's pretty fun to break up the meringues and you'll kindly remember that "fun" is a prerequisite for recipes to appear on this site. And there you go. My Saturday morning in the kitchen: satisfying times baking and cooking, lots of dishes, and unfortunately good weather. After photographing in our sunny back room, I left the fourth load of dishes for Scott to enjoy later and went for a swim. Too hot to stay inside any longer. P.S. Do you have ripe cherries in your neck of the woods? If you pit them and freeze a few cups now, I'll give you a recipe for cherry peach jam in August. Preheat the oven to 200 degrees Fahrenheit. Line two pans with parchment paper. 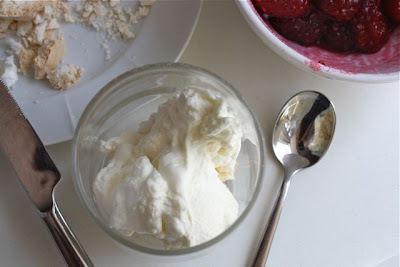 Beat the egg whites with the cream of tartar until soft peaks form. 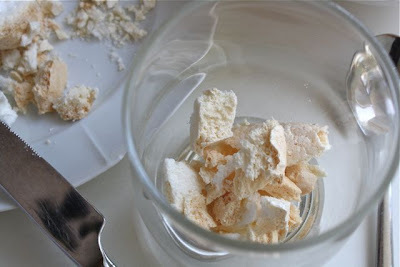 Gradually add the sugar, one tablespoon at a time, until stiff peaks form. Add the almond or vanilla extract. Spoon the meringue into 12 nests on the prepared pans. Bake for about 2 hours, or until they are crisp but not too brown. (If you check a meringue and it sticks to the paper as you lift it up, it needs to keep baking.) Cool on a rack. Once they are cool, break into smaller pieces. 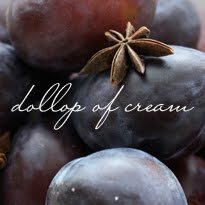 Beat the whip cream until it starts to thicken. Add the sugar and continue to beat until it's whipped. Beat in the vanilla. 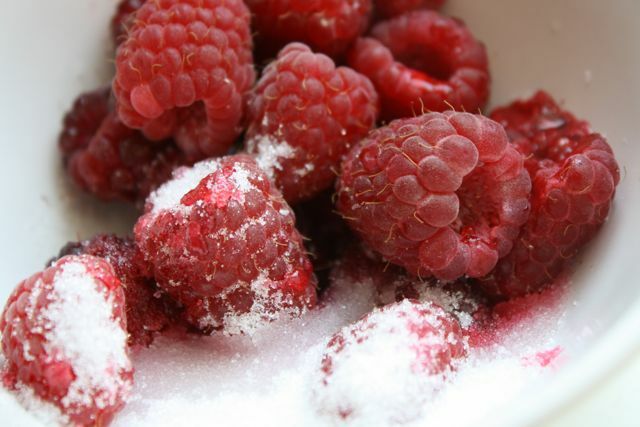 Put the berries, sugar and kirsch together in a bowl. Stir until the sugar dissolves. 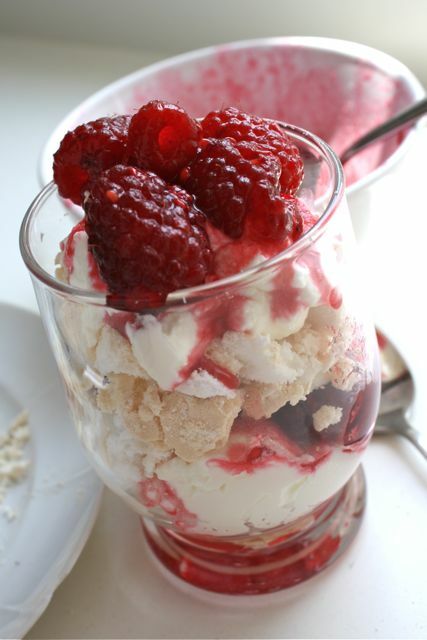 In little bowls or fancy parfait cups, make layers of meringue, whipped cream and berries. Repeat if desired. Eat! I love the pictures! This recipe looks delicious. 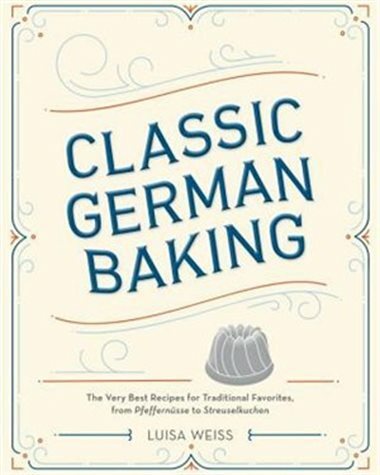 It is now on my list of treats to make!